Eating when you have GERD / Acid Reflux CAN be delicious, healthy and varied! 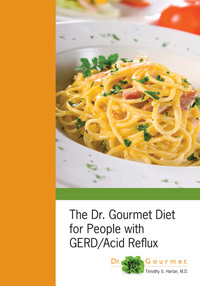 Get your paperback of The Dr. Gourmet Diet for People with GERD / Acid Reflux today! Note: We are unable to ship printed books outside the United States. Please choose your products carefully; all sales are final.